How to Completely Erase iPhone for Sale? Purchased a new iPhone XS and want to sell an old iPhone? If yes, then the information available here is something that you should not miss out. Exactly, when you have a new iPhone in your hands, the older version can be a good option for you to generate some money; means, you can sell it off and utilize that money in paying your new phone's EMIs or anything. But, the main thing that comes in between your plans is the data. The personal data that you want to delete completely before closing any deal. And, here, if ' how to completely erase iPhone for Sale' is the issue bothering you, believe us, we have the perfect solution for you. One of the most trusted iOS erasers from the distinguished stream of iMyFone, Umate Pro is a renowned product specially designed to let iPhone users maintain a hold on their privacy and storage issues. Evidently, the call logs, the cache, the apps, the safari history and any other things that you delete on your iPhone don't exactly get deleted to full, its traces remain there in your machine making it restorable and trackable with the use of a professional software. On the other hand, Umate Pro deletes everything permanently, no professional software can detect or restore its deleted files ever! It permanently deleted app data and cache to provide you more space and sort out the storage issues. 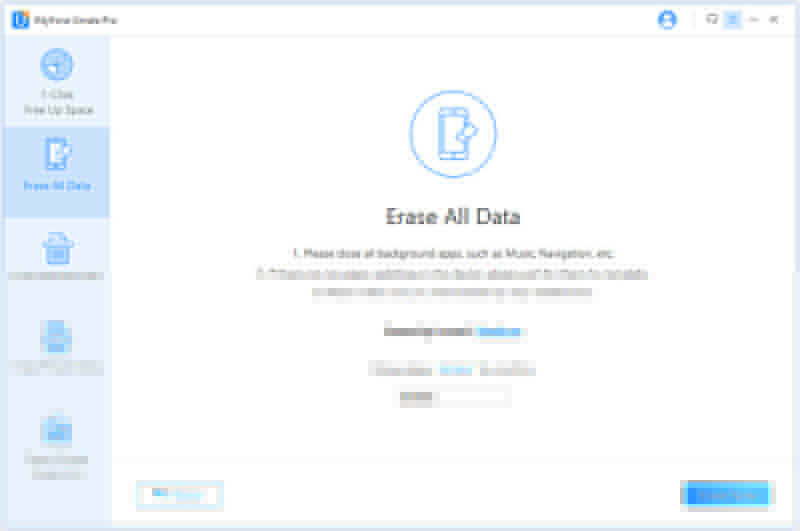 Erase All Data- Messages, Videos, Photos, Contacts, Call History, and Safari History Etc. Completely deletes all your third-party apps fragment like WhatsApp, WeChat, Viber, Kik, and Tinder etc. to secure your privacy. Download, install and launch Umate Pro on your computer and connect iPhone to PC. Choose "Erase All Data" mode and click "Erase". Enter "delete" in the box provided. This will permanently erase all data files on your iPhone. While Umate Pro is the single shot solution if you are looking to completely erase iPhone for sale, you may try other methods too. 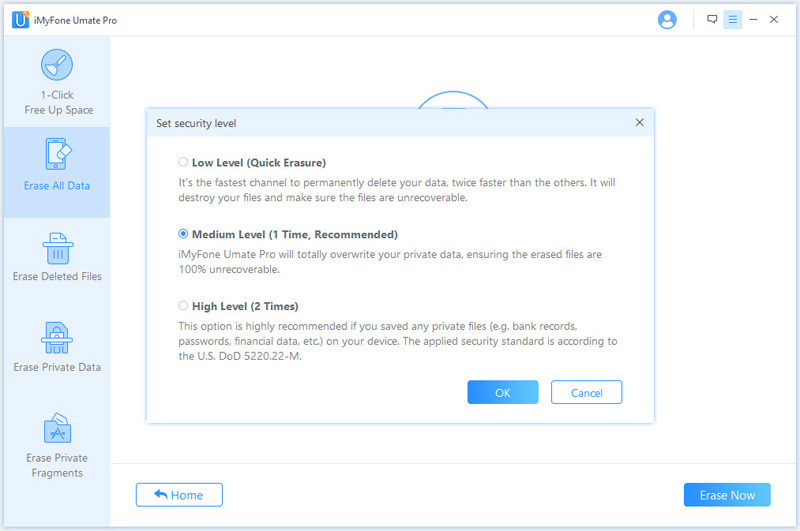 Though, we recommend you should only use Umate Pro for the ultimate data-leakage protection. 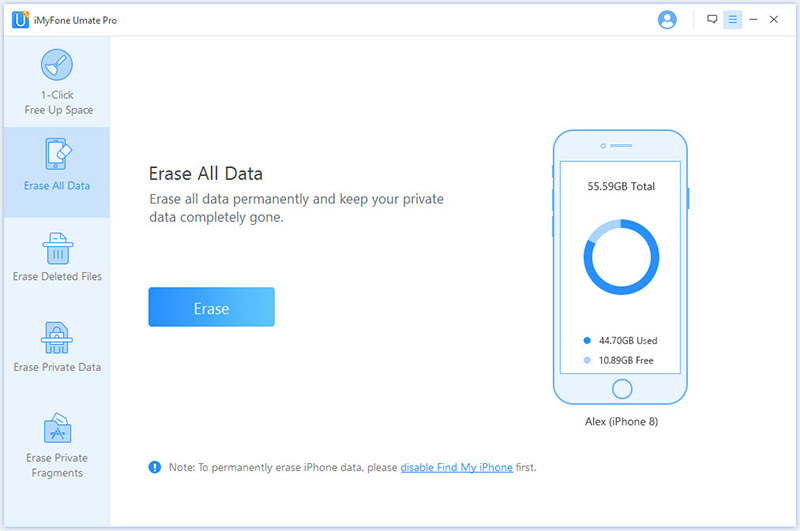 If you wish to erase data by yourself without using any third party application, you can do it simply by visiting the Settings section of your iPhone. Once again, the data you delete with this method stands as recoverable and can be fetched easily with any of the professional third party software! 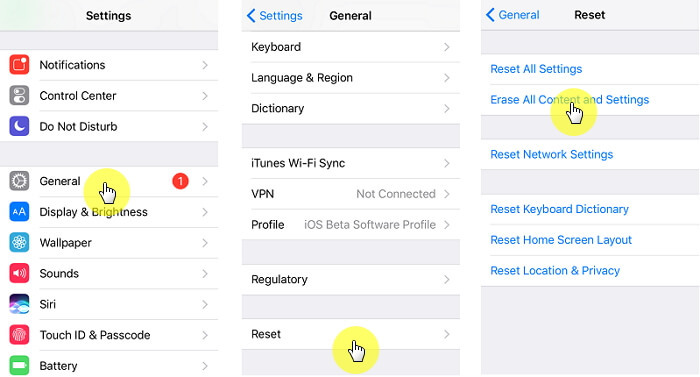 Unlock your iPhone and navigate for the Settings folder. Tap on Settings and scroll down to find the General tab. Scroll to the bottom and tap the Reset button. Out of the available options, tap on Erase All Content and Settings. Now tap on Erase iPhone and tap it once again to confirm. Now enter your Apple ID and Password to turn off Activate Lock. 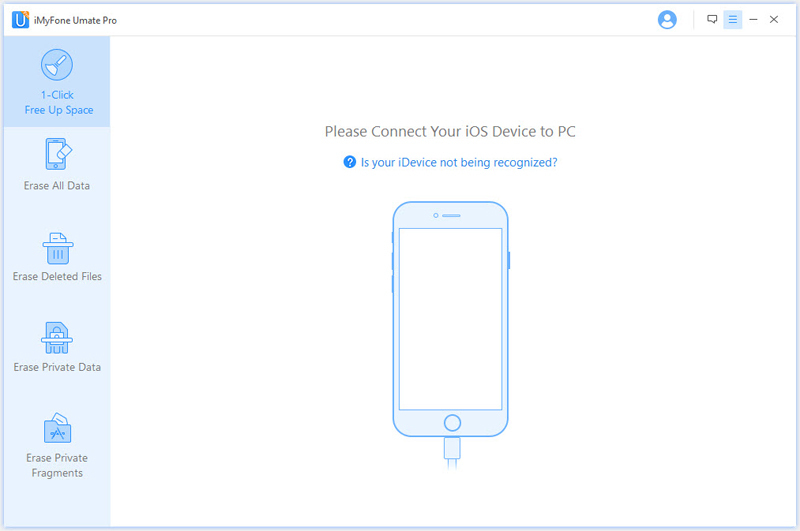 Remove the device from Find my iPhone. While you may see many sideways to delete apps and cache to completely erase iPhone for sale, nothing works as effective as Umate Pro. It not only deletes everything permanently but also gets rid of the cache and temporary files that normal deletion never deletes. Quite easy to use, Umate Pro is trusted by numerous iPhone users who have reviewed it positively after doing their research. So, are you looking to permanently delete apps, photos, videos, etc. of your iPhone and sustain your privacy? If yes, try Umate Pro now and we bet, you will definitely recommend it further to your near and dear ones.